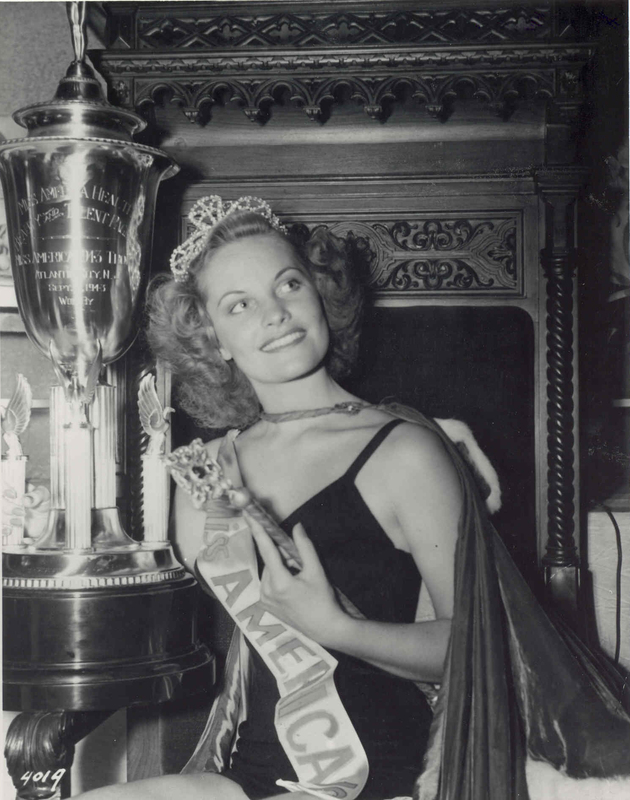 Jean Bartel, whose death was recently announced, was the first Miss America I interviewed for my book, Pretty Smart: Lessons from our Miss Americas. I didn’t know what to expect. I had my story prepared, my questions on index cards and a hope that it would go well. I first met her in Los Angeles, when she invited me to her home. She was tall and very slender. Dressed all in black, a refined string of pearls around her neck, she had wrapped her hair in a leopard print turban. The first thing she did after greeting me was to apologize for her appearance. But she looked elegant and cool, so no apologies were accepted. I felt like I was in the presence of a true lady. She told me stories and made me laugh. I found myself impressed with her forthrightness and warmth. I saw her three more times at the Miss America Pageant in Las Vegas, January 2008 – 2010. She always showed up in her high heels and strapless dress, even well into her 80’s. Jean entered the Miss America pageant to satisfy her burning hunger to appear on Broadway. She was notable during her reign for raising more money in war bonds than anyone else ever before. As the first college girl to win the crown, she encouraged the Miss America Organization to start awarding scholarships, which it did in 1945. She was the first Miss America to refuse to model swimsuits during her reign. Jean was always an independent woman. The entertainment industry recognized her talent and professionalism at an early age. With an actor’s equity card in her pocket as a precocious fourteen year old, she joined the Civic Light Opera of Los Angeles. The pageant then opened doors to a world she had been pursuing for several years. She took her exceptional voice and trademark smile around the world on tours to the Middle East, Europe, Canada, South American and every state of the Union except Maine. Ultimately, her Broadway dream became a reality when she became the first Miss America to star in a musical, “Of Thee I Sing.” Through the next several decades she continued to appear on television, stage and in film, performing well into her seventies. Every year she still dons an evening gown, puts on her lipstick and heads to the Miss America pageant. Jean was a single professional woman at a time when most women were homemakers. Her love for travel was sparked by her globe-trotting touring schedule when she was performing. She took that passion and started her own travel agency, Jean Bartel & Associates, which she ran well into her seventies. Jean didn’t marry until twenty years after she was crowned. She met the man who would become her husband on one of her trips to Japan. 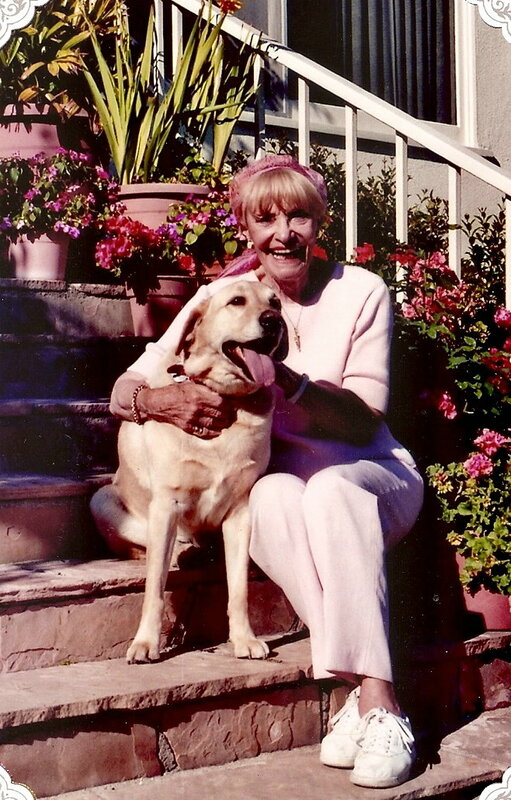 Married for thirty-one years until he passed away in 2001, this grand dame, with her trusty dog Teddy, followed her dream all the way to the finish line. What a great way to remember her! I think we could use little more graciousness in our lives. Thanks for your comment Susan. 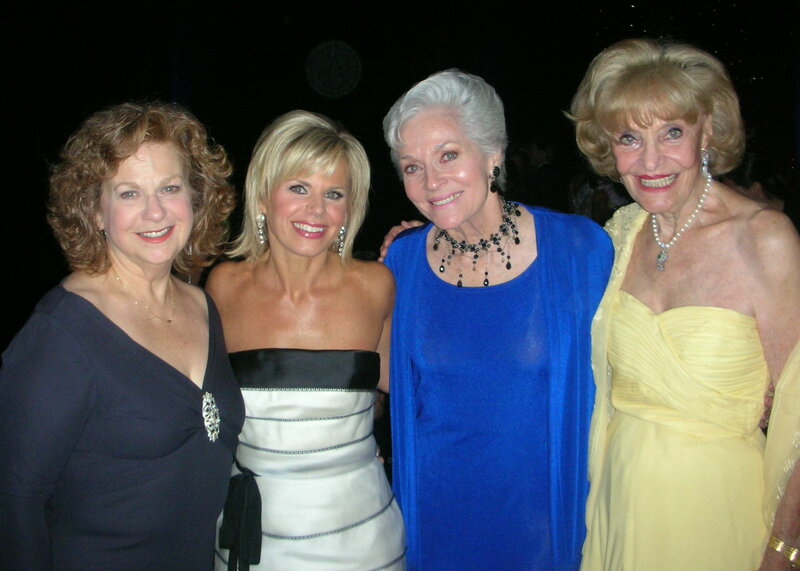 Jean epitomized graciousness!